“The transient float is used all the time during the summer and is critical for our fishing fleet,” Eliason said. The new facility will be a timber float dock, tied to steel pilings and buoyed by foam-filled polyurethane tubs. 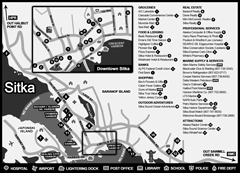 As well as transient moorage, a few stalls may be set aside as permanent stalls for boats 40 feet and longer. The final configuration will provide 930 linear feet of moorage. 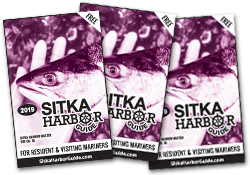 Skippers of commercial fishing boats using the transient moorage should take note – they are eligible for a 25 percent discount on up to 10 days’ worth of their Sitka stay. Skippers need to show their fish tickets to harbor staff to get the discount. Eliason said the city is trying to lure more transient vessels to use city floats, instead of anchoring in the channel or using private moorage. He noted that these vessels, as well as paying moorage fees, pay fish tax on their catch, money which goes back to the city to maintain and upgrade harbors.